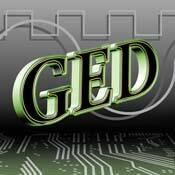 GED's engineering and design team can reproduce and/or retrofit any special or custom VCO, OCXO, VCXO, or TCXO devices ‹old or new‹to form, fit and function of the original specification.This means that if your need is to replace an obsolete or no longer available part, GED can provide it. Put GED on your team and you'll get over 100 years of combined engineering and design expertise, along with extensive application experience, to work for you‹free. Our mission is to help you solve design problems, take the risk out of new opportunities and just do things better.